In May, Think Digital hosted a conference which examined the ethos and ethics around identity in public services. The event offered a forum for informed discussion around the adoption of identity in public services, and discussed the concept of identity services. Think Digital considered how the UK landscape for identity in public services is at an “inflection point” compounded by government and private sector deliberations around a trust framework for the reuse of government-developed identity services. At the same time, impending global Open Banking initiatives require both the public and private sectors to understand the implications of regulations and standards in the UK on the global identity ecosystem. 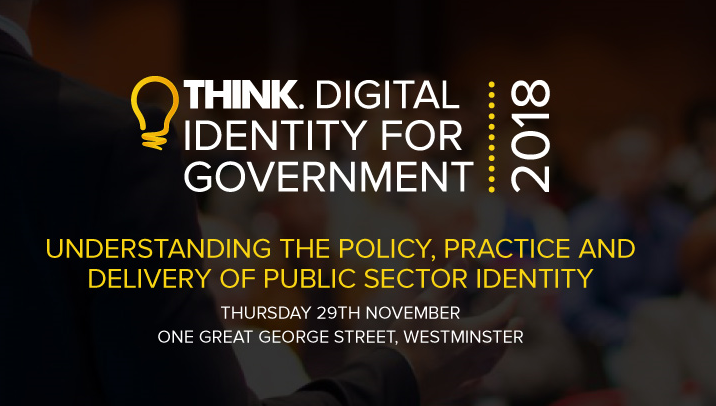 Think Digital examined the international picture for identity, the speed of take-up of GOV.UK Verify, and the role of the private sector in its development. It also looked at identity in the wider public sector, discussed trust and took a look into our crystal ball to consider the future of identity in public services. Six months on from the conference, Think Digital will be examining how accurate our crystal ball was. But this time, Think Digital will be focusing much more on not just the policy and practice of public sector identity, but also on the delivery. With the shift in responsibility for identity policy from the Cabinet Office to the Department for Digital, Culture, Media and Sport, this event will also offer one of the first opportunities to examine what the new landscape in identity in public services looks like.